What Happens if the Slow Cooker Explodes, Part II: Are Sub-Trusts the Way to Go? 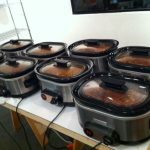 In my last post, I wrote about what happens when the slow cooker explodes and your children become orphans. I explained that, if this sort of tragedy occurs, it would be helpful if you had the foresight to have a Will with a testamentary trust to provide for your minor children. In that post, I discussed how distributions from a testamentary trust might work out for a fictional family consisting of five teenage daughters, Elizabeth, Jane, Mary, Kitty and Lydia, whose parents perished in a tragic accident while all five daughters were away at summer camp. In that example, the testamentary trust was managed as a single trust, with all of the funds combined in a common “pool” of assets. The final amount remaining in the trust was distributed to the daughters in equal shares upon the youngest daughter reaching age 30. With the trust funds pooled together, the amount of money each daughter ultimately received in distributions from the trust was quite different. For some families, managing a children’s trust as a single trust makes sense. For others, parents may not be happy about the potential disparity in distributions from the trust that resulted in the scenario I discussed in that post. An alternative to a single trust is the use of sub-trusts. A sub-trust is a testamentary trust that equalizes funds available for distribution to each child. With sub-trusts, the trustee allocates an equal amount of assets in the trust to the “sub-trust” for each beneficiary, makes distributions to each beneficiary from their sub-trust assets, and distributes the assets remaining in the sub-trust for each child when that child reaches the age for final distribution established in the trust. In the example from my previous post, $2 million was available to fund the testamentary trust. In addition to paying relatively comparable amounts for each beneficiary’s food, housing and health care, which amounted to approximately $200,000 in distributions for each beneficiary over the term of the trust, the trustee makes a number of distributions unique to each beneficiary: Elizabeth receives $500,000 in distributions to cover tuition for a B.A. at Stanford, a Harvard PhD and a second PhD at Oxford; Jane receives a $45,000 distribution toward yoga teacher training; Mary receives $5,000 in distributions toward piano lessons; Kitty receives $100,000 to open an ice cream parlor; and Lydia receives $250,000 in distributions to study fashion design at the Pratt Institute. When the youngest child, Lydia, turns 30, pursuant to the trust’s terms, each daughter receives a final distribution of the amount remaining in the trust. Since $100,000 remains in the trust in this example, each daughter receives $20,000. Suppose, instead, that the children’s trust had specified that sub-trusts be established for each child, and the amount remaining in each sub-trust would be distributed to that child when she reaches age 30? In this scenario, the trustee would have allocated $400,000 to the sub-trust for each beneficiary when the trust was established. Half of this amount would have been distributed over the course of the trust’s administration for the beneficiary’s health care, food and housing. Now, Elizabeth would have exhausted the $200,000 in funds available for her education during her years as a graduate student. No funds are left to distribute to her on her 30th birthday. Jane, however, would receive $155,000 on her 30th birthday (as compared to $20,000 when she is 35 when the trust was managed with a common pool of assets). Mary’s final distribution would be $195,000, Kitty would receive $100,000, and Lydia $50,000. While this example does not take into account appreciation of trust assets due to interest, it does demonstrate the difference in distributions made to trust beneficiaries, depending upon whether the trust is managed as sub-trusts or as a single trust. If it is time to discuss a Will with a testamentary trust for your children – with or without sub-trusts – contact an attorney to explore which option makes the most sense for your family.